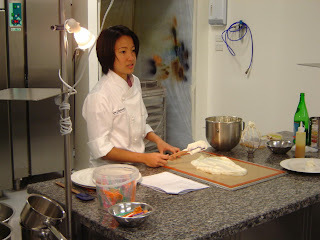 Tonight was a great class at Savour School with Janice Wong from 2am : dessertbar in Singapore. I am not much of a dessert fan, but this was really an interesting exercise. There were many fascinating techniques and ingredients used to effortlessly prepare a couple of exciting desserts. Although I was excited about the dessert dinner next week, it is even more appealing now. The first dessert had chilli chocolate coral impregnated with truffle balls filled with peanut butter sauce. 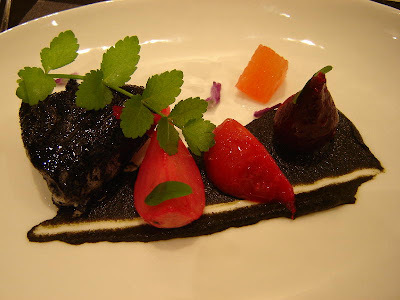 It is a most enjoyable combination of textures and flavours with the heat of the chilli giving warmth without overdoing it and the softer aerated texture of the coral being punctuated by the crunchy truffles with their soft gooey sauce centre. 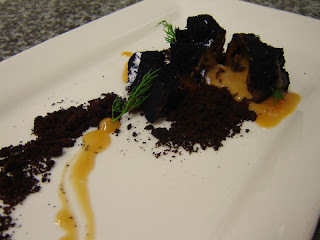 The chocolate brick is served on some chocolate soil and matched with fresh honeycomb and more of the peanut sauce and some dill, for colour and flavour. The dill, though only small really marries well with the chilli chocolate. 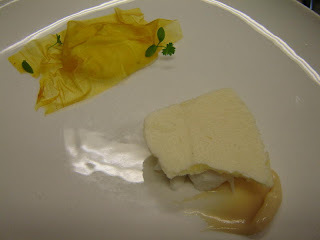 The second dessert has more components and more techniques to stimulate the mind as well as the palate. Firstly, a basil and white chocolate ganache prepared sous vide by being cooked at 60⁰C. 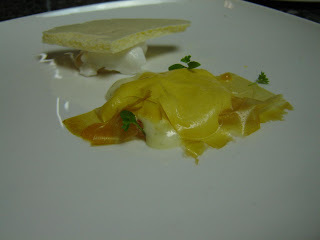 Phillipa Sibley infused white chocolate with rose geranium at a Masterclass at Lake House on Sunday by infusing the cream. This method using sous vide certainly enabled the basil flavour to penetrate the final product. It was a surprisingly agreeable combination. 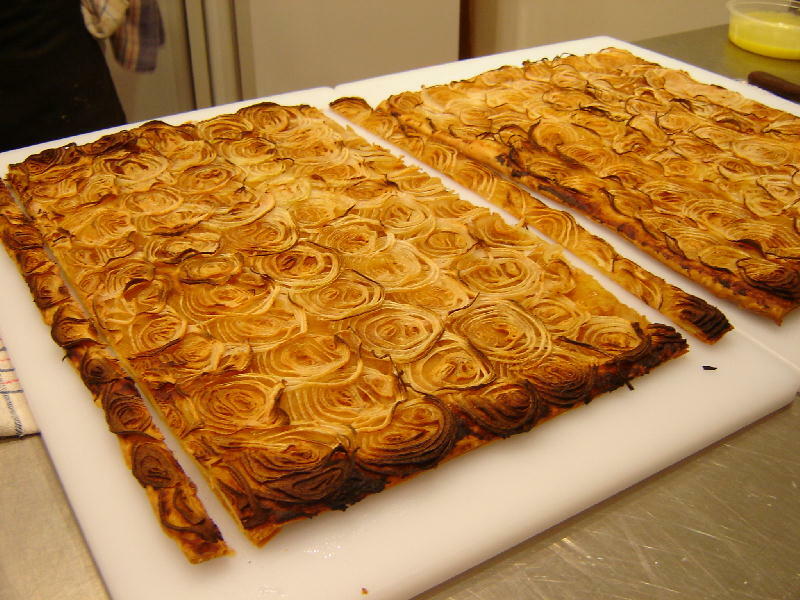 The next component was described as a passionfruit blanket, but it was more of a gossamer sheet using pectin powder and spreading the mixture very thinly on a silpat mat before dehydrating the sheet. The fruit leather was to be draped over the basil chocolate ganache. Passionfruit fluff was prepared from passionfruit puree, egg white powder and gelatine and involved leaving the mixture to stand for 6 hours to develop its flavour before whipping for about 30 or 40 minutes. This meringue was then spread on silpat mats and dehydrated overnight to produce a result similar to the meringue that Andrew McConnell had in his dessert from Sunday’s Lake House class. Sorry Andrew, but this was better. To accompany the basil chocolate ganache and crispy fluff Janice made a yuzu fruit pate. The final component was a coconut sherbert which involved making a marshmallow with sugar, glucose and invert sugar, before mixing with coconut puree and pacotizing. The resulting sherbert was so intense in flavour with wonderful mouth-feel and reminded me of a Brent Savage coconut foam on steroids. 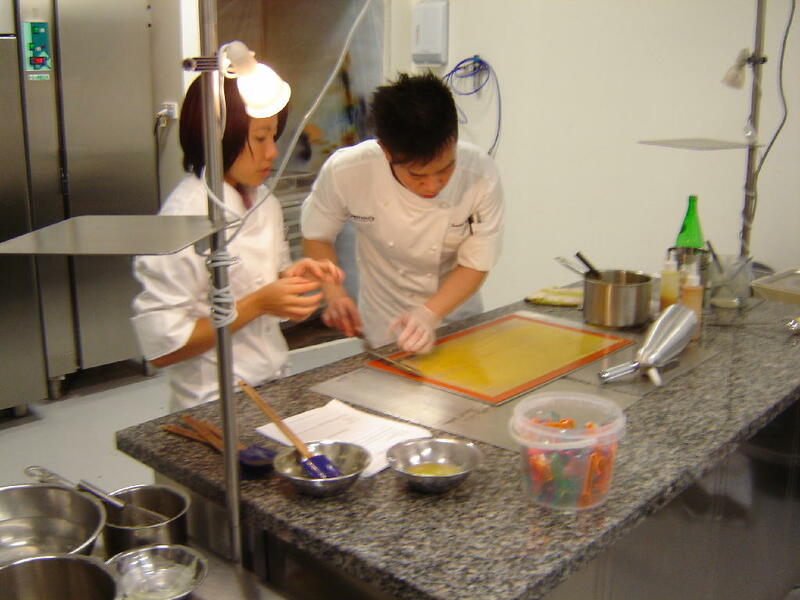 Janice was very ably assisted by her fellow chef Derrick and is sure to win many fans during her classes and dinners at Savour School over the next week. 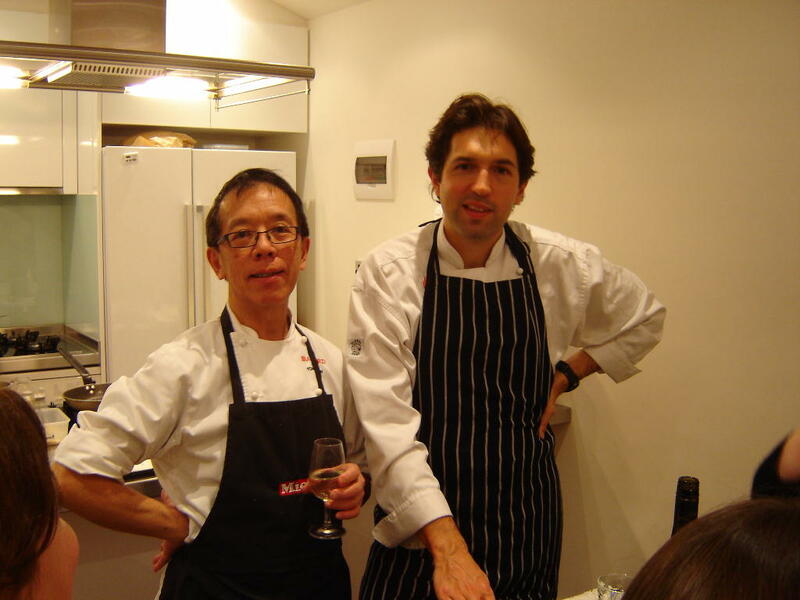 This is the only cooking class that Ben Shewry from Attica Restaurant in Ripponlea is giving in Australia this year. So I felt very privileged to be in a small class of 16 at Tony Tan's unlimited Cuisine Co last night. Life has become very busy, firstly after being invited to Madridfusion at the beginning of the year; then after he was mobbed by overseas chefs during the Melbourne Food & Wine Festival; and, finally, it has gone completely mad since his restaurant was ranked 73 in the San Pellegrino World's Best Restaurants awards. 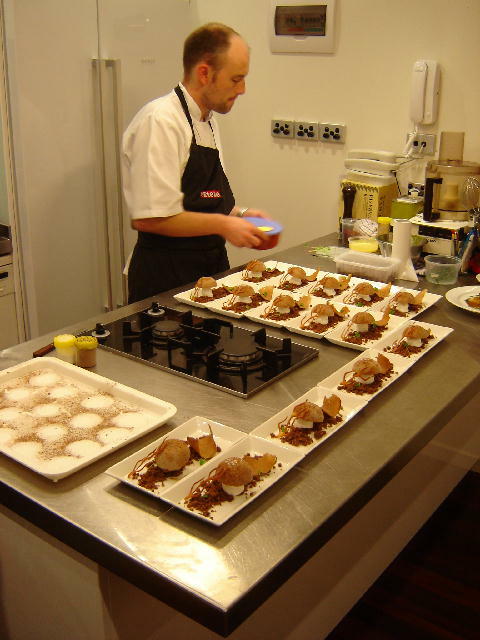 This is the third class that Ben has given at Tony's and his enthusiasm and attention to detail continue to inspire. Plenty has been written about Ben, a successful import from New Zealand, and he deserves all the accolades. The first dish that Ben demonstrated was the Osmanthus & chrysanthemum broth with abalone, cuttlefish and fried chicken. The making of the stock for the broth shows a great care for his product and attention to detail. It is made in a Chinese or Thai style, with the carcasses being blanched and rinsed before being slowly simmered with copious skimming of scum and fat. 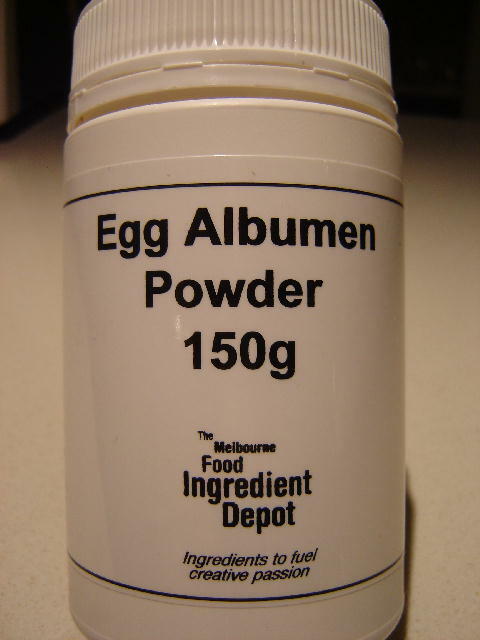 There is never a drop of fat left after cooking and there is definitely no need to clarify with an egg white raft. The stock has aromatics such as pandanus, galangal and coriander and the final broth has coconut, palm sugar and soy added to produce a delicate flavour. 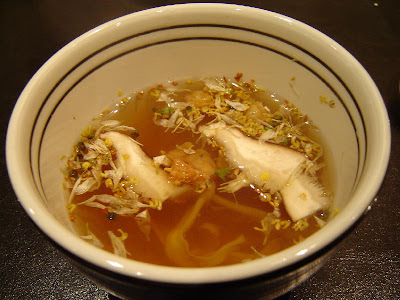 The broth is served with osmanthus flowers, chrysanthemum petals, abalone, cuttlefish, shitake mushrooms, deep fried chicken wing meat and a few other bits. Ben explained that he owed a lot to David Thompson for the thinking behind, and construction of this dish. It was a triumph and a great addition to his new menu. The next new dish of Beef, Seagrass. White Cabbage again had a lot more stages than would be possible for anybody doing a Masterchef challenge. It shows what can be done with relatively inexpensive ingredients combined with a lot of thinking, heaps of time and careful handling of the product. 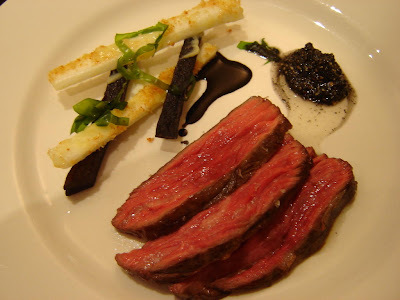 The beef chosen was bavette, which is a part of the flank. I vividly recall over 30 years ago during my university training, being shown by one of the Redlich family, how to butterfly and slice this cut of meat to make the most delectable breakfast steaks. So, part of my education was not wasted. The purpose of the demonstration was actually to show the importance of where vets stuck injections, but a handy hint all the same. Ben took great care with the steak. Initially ensuring it was warmed before browning and then placed on racks to cook until the meat reached 56°C internal temperature. Every piece was tested and nothing under 55°C was removed. The meat was allowed to rest and then warmed/flash heated before slicing for service. 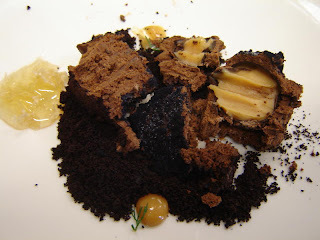 Other components to the dish included black potatoes that reminded us of a dish we had eaten at Mugaritz. The potatoes underwent four or so steps over a period of time, and not something knocked up just before service. The resulting texture was slightly rubbery, as Ben wanted, and not crisp, despite having been finished in the deep frier. The other components to the dish included a smoked black sesame oil, a black pepper vinegar, the stalks from wombok, home-made prawn floss, miso dressing and seagrass. 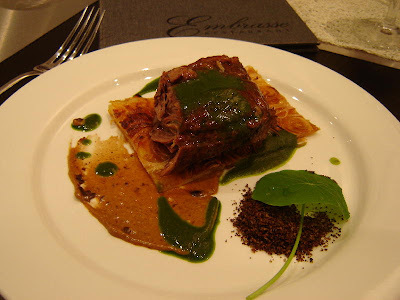 The whole dish tasted delicious, but the tender beef and the smoked sesame oil were the stand out players. Much of Ben's cooking has been inspired by memories from his times in New Zealand with family. 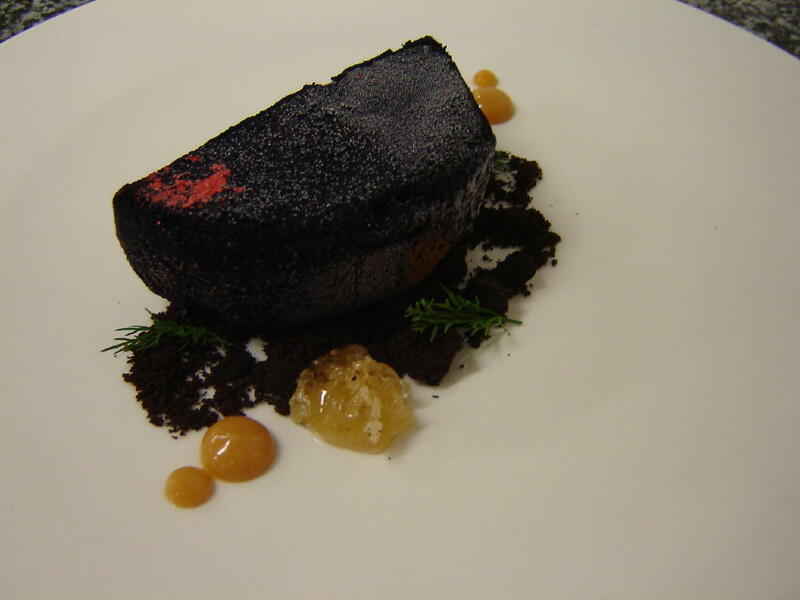 But the final dish of the night had been inspired by his visit to relations on a farm in Canada. 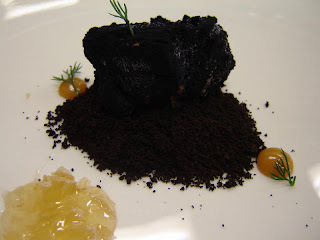 Ben shared part of the text from his upcoming book, being published by Murdoch Books, describing the flavours of agriculture, and how it resulted in this dish. He told of seeing the proper maple syrup production and eating toasted cheese smothered in divine maple syrup. 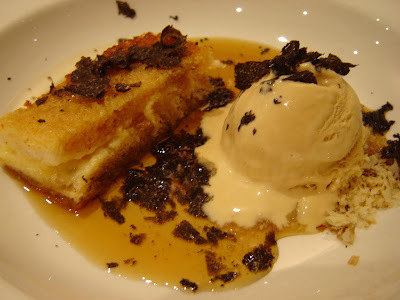 The dessert course was Canadian grilled cheese toasties with hay ice cream and Tasmanian black truffle. The milk had been infused with hay, and after much experimentation, a caramel and milk custard was constructed to be finished in the Pacojet. The cheese toasties had maple syrup poured over them, and along with the ice cream it was smothered in shavings of Tasmanian bluck truffle for a little decadence. This was yet another success and was a superb end to a fantastic evening with the very generous Ben Shewry. 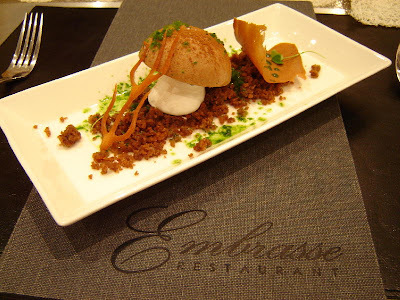 Last night I attended a fantastic class at Tony Tan's Unlimited Cuisine in Toorak with Nic Poelaert from Embrasse (not pronounced Embrace - but like this ) in Carlton. 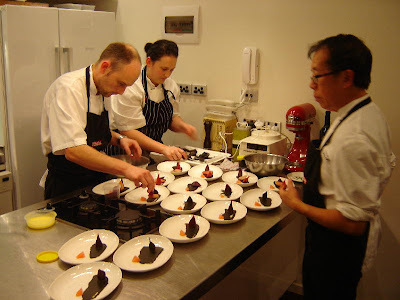 It was wonderful to hear Nic's philosophy and to see him working calmly in the kitchen. The need for fresh seasonal produce and the philosophy of foraging like Ben Shewry, Dan Hunter, George Biron, Alla Wolf-Tasker and Matt Wilkinson is appealing and heartening. The other aspect of his cooking that really appeals is his use of the Thermomix. Each of the three dishes demonstrated had components that were produced in the Thermomix. 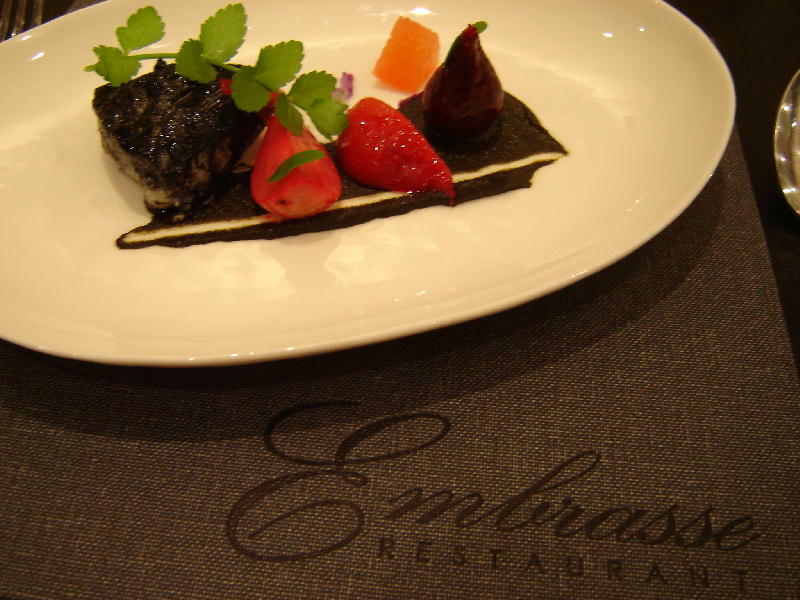 John Dory semi-fried/semi-steamed in squid ink on burnt carrot puree (done in the TMX), with baby beetroots and grapefruit. Thanks to Nic, Vanessa, ........ (oops, sorry forgotten her name already) and Tony Tan for a memorable night. OK, so this is soooooo late. I made it and took photos in January, but just never got around to posting it. A message from Tenina reminded me that I needed to get off my proverbial and get the blog active again. Chilled Pea and Mint Soup. Depending on whether the peas are fresh or frozen the method varies only slightly. If using fresh peas, place about 150g of the iced stock into the TM bowl and heat for 4 minutes at 100°C on speed 1. Add the peas and cook for 8 minutes at 100°C on speed 1. If using frozen peas, place about 100g of the iced stock into the TM bowl and heat for 4 minutes at 100°C on speed 1. Add the peas and cook for 3 minutes at 100°C on speed 1. Add the mint leaves and remaining cubes of frozen stock and blend for 2 minutes on speed 9. That is all. Sorry that it took so long. 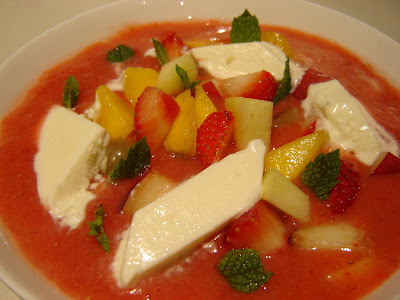 This is another recipe from Jane Lawson’s book "Cocina Nueva". ( Now also in paperback). Place the sugar in the TM bowl and grind for 15 seconds on speed 9. Add the other ingredients and mix for 30 seconds on speed 9. Strain through a fine sieve and chill for 2 – 3 hours. Divide the strawberry purée between 4 shallow bowls. 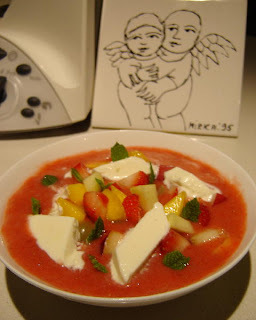 Place fruit garnish onto purée and cut the frozen yoghurt into 1.5cm cubes or diamond shapes and place around fruit. Sprinkle mint over the top.